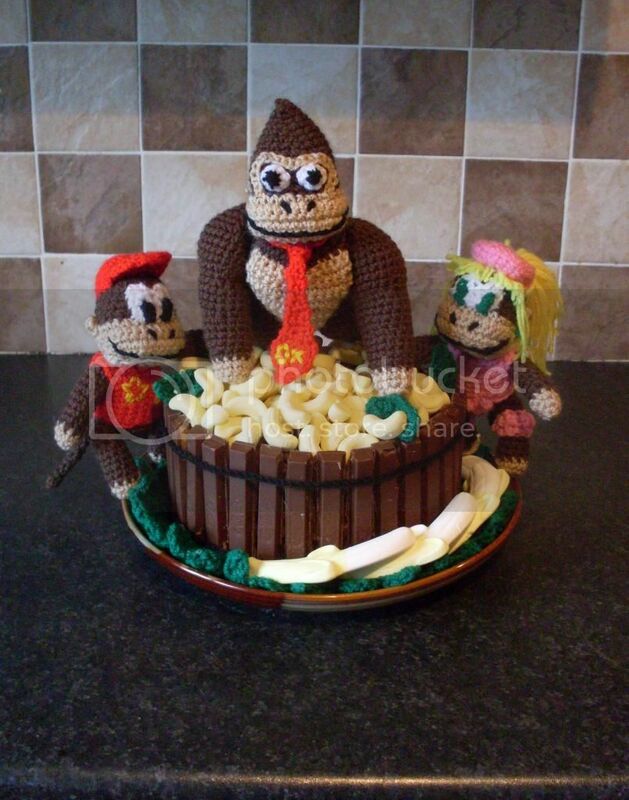 Donkey Kong Birthday Cake - Sprite Stitch Board! It's a chocolate chip cake with chocolate frosting surrounded by Kit Kats and topped with marshmallowy bananas. 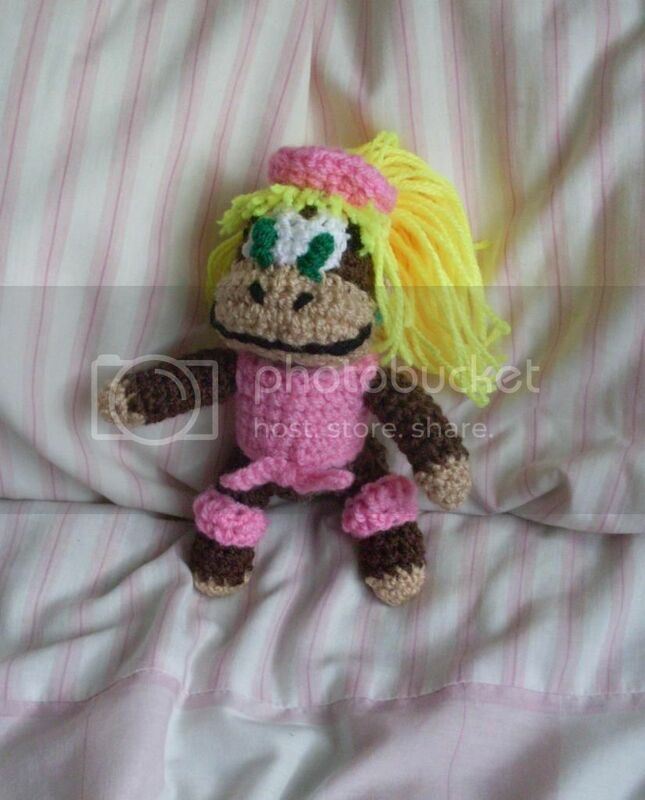 I put the individual pictures of Diddy, Dixie and Donkey in 'spoilers' just so this post wouldn't be a mile long. You did a great job - you have a very lucky fiance! Current projects: 'Heroes' sketch, experiments with surface embroidery. "We have to build the republic of heaven where we are, because for us there is no elsewhere." Also, what kind of banana candies are those (both on top and at the base)? I've never seen them before. RMDC- The candies I used are from pack of sweets called 'Shrimps and Bananas' (or Bananas and Shrimps, I can't remember the order). I wanted to use banana Runts, but since I live in Ireland, they aren't as commonly found. The large ones on the base of the cake were brought over from London for me by a friend from one of those old-timey sweet shops. Both are kind of like a marshmallow type of candy. A bit stiffer than marshmallows but still quite soft. That looks delicious! It's been a very long time since I've had banana lollies! 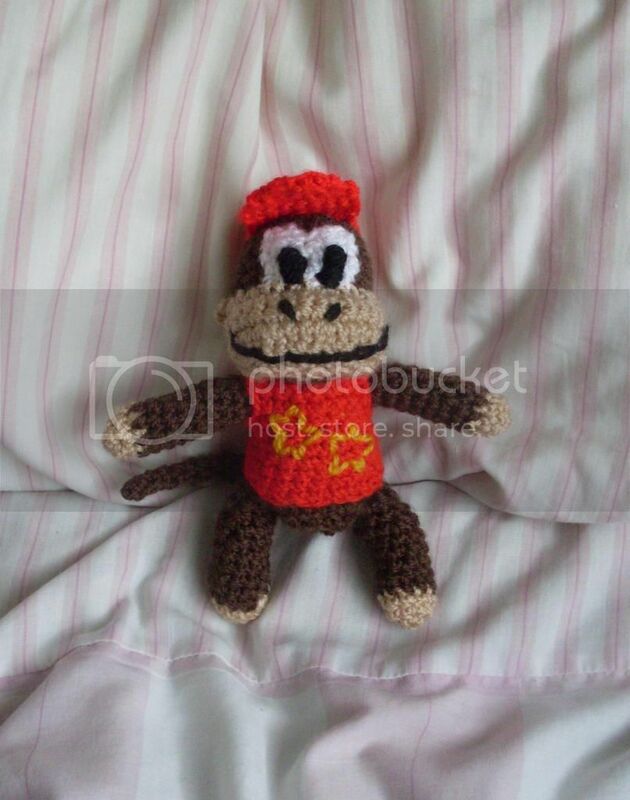 Quick question, did you design the DK crochet plushies yourself or did you find the patterns somewhere? 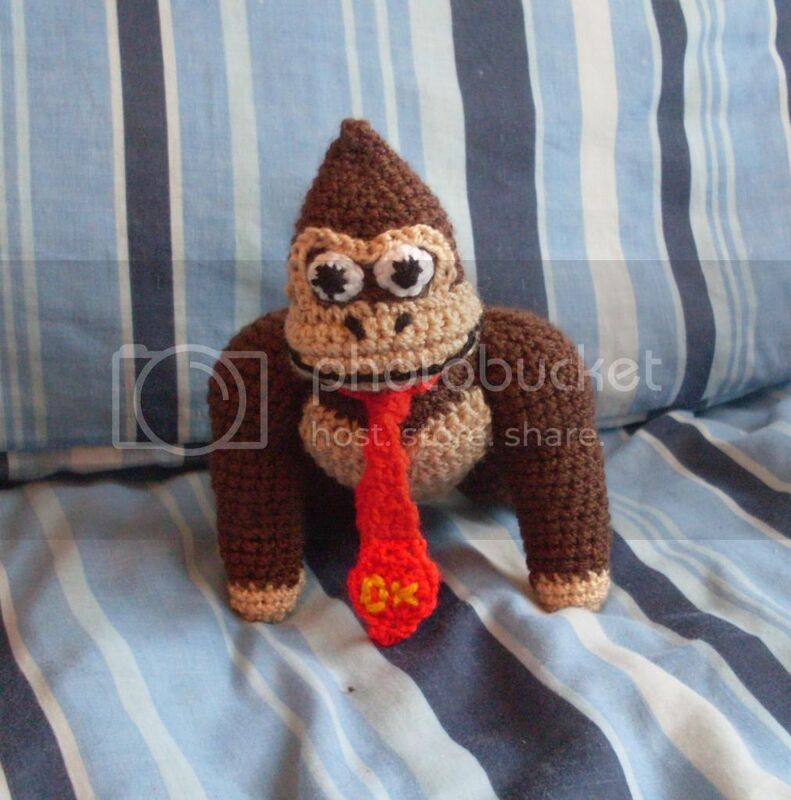 I'd love to make a Donkey Kong for my brother for Christmas! WOW! That is an amazing cake. Great job! Current projects: blackwork Macintosh, Super Mario World - Star Road map, Super Mario World - Full Map! Thanks for all th kind words. 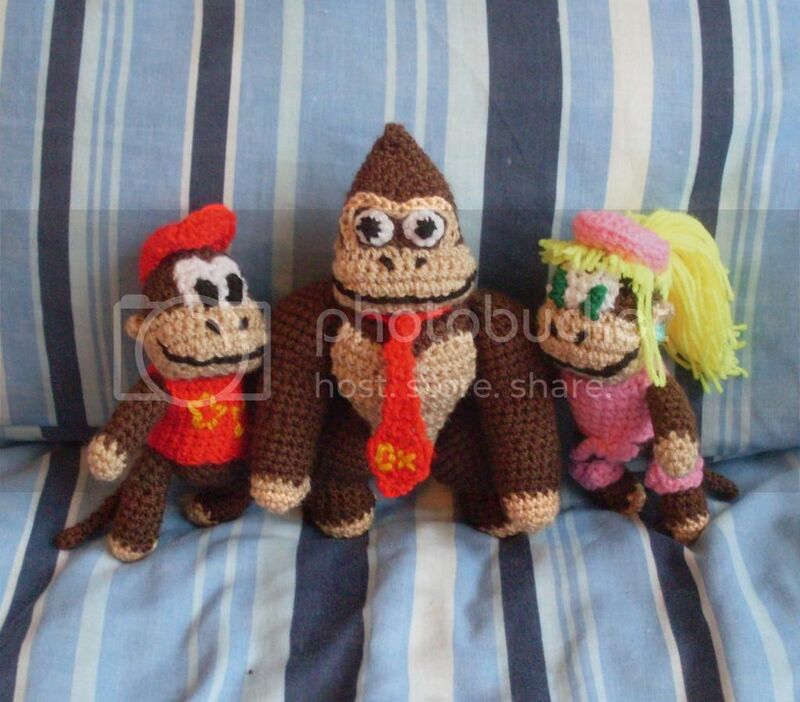 I came up with the pattern for the dolls myself. It ended up being somewhat awkward. I will see if I can type out what I did and if it isn't too confusing share it.